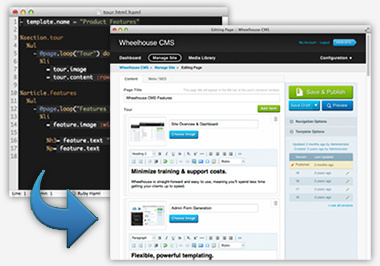 Wheelhouse is a Rails CMS designed to make life easier for you and your clients. Powered by Ruby on Rails and MongoDB. 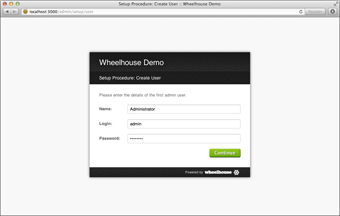 Getting started with Wheelhouse CMS is easy. Simply sign up for an account, create a new Rails application using your unique license template, start the server and follow the 3-step setup process. From here, you're ready to start creating content or build your first theme. Be up and running quickly with an easy 3-step setup process. Rather than limit you to a single content area, Wheelhouse CMS inspects your templates and automatically generates easy-to-use admin forms for content entry. By combining rich content areas, text fields, images and looped combinations thereof, Wheelhouse gives you the flexibility to create complex, fully content-managed layouts without resorting to awkward workarounds. With this flexibility it's incredibly easy to create anything from a simple sidebar, to a list of staff members along with their photos and job description, or even a full-on gallery or slideshow complete with rich-formatted captions. 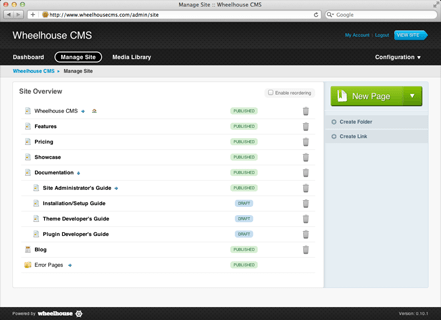 Read more about flexible content areas in Wheelhouse CMS. As your web site grows and you start needing more functionality - a blog here or a form there; Wheelhouse CMS has you covered. Whether it’s one of the many easy-to-use Wheelhouse plugins or custom functionality just for your site, you’ll always have an option, or many. Prefer Slim for your templates or Less for stylesheets? Easy! Want to enrich your front-end with Backbone.js? No worries. In fact it's a core philosophy of Wheelhouse CMS that the full power of Ruby on Rails will always be right there at your fingertips. and many more are currently in development. User experience is often overlooked in today’s content management systems. That’s why we’ve spent many hours to ensure that Wheelhouse CMS is not just convenient and easy to use, but an absolute joy to work with for both developers like you, as well as for your clients. Wheelhouse will help you cut turnaround time, reduce training and support costs, and wow your clients. We’re obviously a little biased, but we believe we’ve created the best Rails CMS on the market today. Our clients love Wheelhouse, our customers’ clients love Wheelhouse, and we’re sure yours will too. Simple to use and simple to design & develop for. You'll be up and running faster with Wheelhouse and your clients will love you for it. 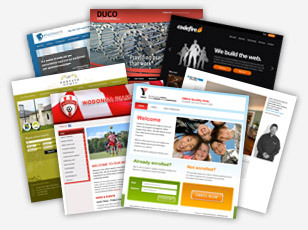 Avoid repetition in your themes using partials and layouts. Extend your HTML with ERB or overhaul your templates completely with Haml & Sass. Easily add blogs, galleries, forms & more to your site, or build your own plugins using APIs built on Ruby & Rails.